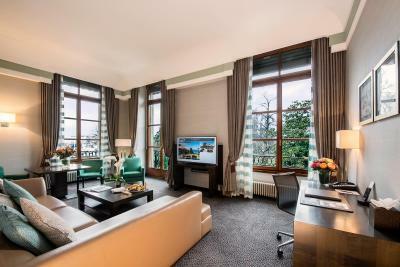 Lock in a great price for Hôtel Métropole Genève – rated 8.7 by recent guests! The staff was very friendly and helpful. Each morning my husband and I went for a run and the staff always had a towel and water for us upon return, which was a nice touch. The included breakfast was good. Our room had a nice balcony that overlooked the park/lake. I highly recommend this hotel. I had lunch at the restaurant. They make it very quick as I request so that I will be on time with my reserve limousine for another town. Great job. The staff is very courteous and respectful. 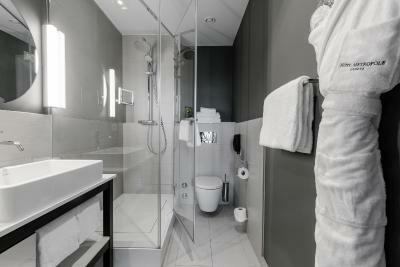 I liked the hotel and the service provided, the hotel is very clean and quiet, the best for me. Gusto restaurant, best valued dining. Service is excellent. Location is superb. Beautiful hotel with fantastic location. Walk to old town shops - park/lake just outside the front door. Staff was warm and welcoming. Five stars for customer service. The location, the rooms, the atmosphere, and the ambiance!! 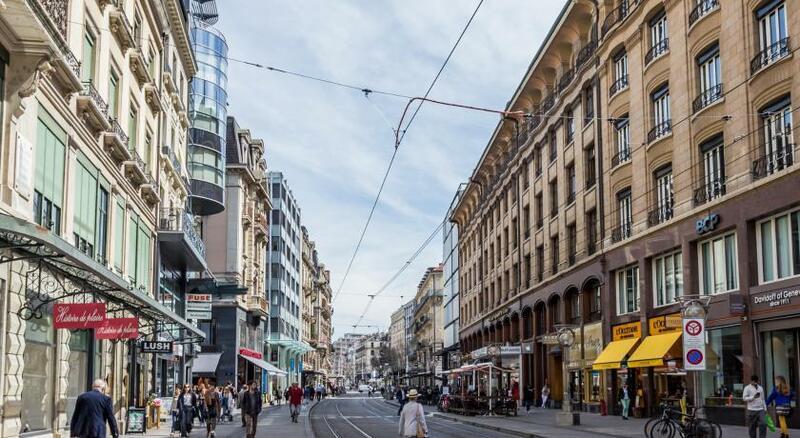 Hôtel Métropole Genève This rating is a reflection of how the property compares to the industry standard when it comes to price, facilities and services available. It's based on a self-evaluation by the property. Use this rating to help choose your stay! 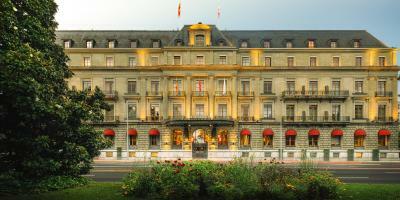 One of our top picks in Geneva.Built in 1854 on the city's ancient fortifications, the 5-star Hôtel Métropole Geneva is located in the heart of Geneva. It offers panoramic lake views, free WiFi, and free use of its fitness facilities. 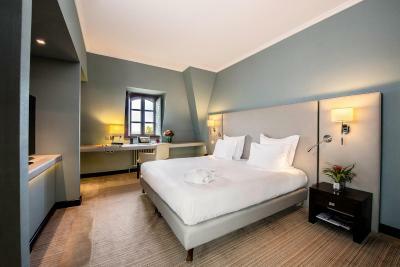 All rooms of this nonsmoking hotel offer a work desk with voice mail and 2 phone lines, a Nespresso coffee machine and double-glazed windows. 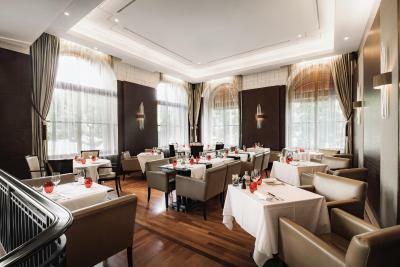 Restaurant Gusto offers modern Italian cuisine in an elegant indoor and outdoor setting, accommodating everything from a quick business meal to more elaborated tasting menus for special occasions. 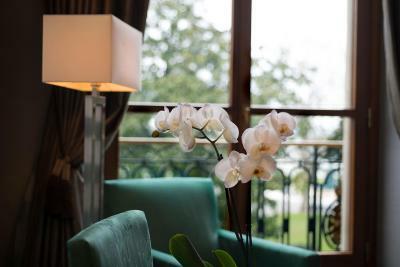 With a panoramic view over Lake Geneva, the MET Rooftop Lounge is an inviting place to spend warm summer evenings. You can chill out listening to the music, enjoy creative cocktails and casual finger food from served from 17:00 on until late at night. 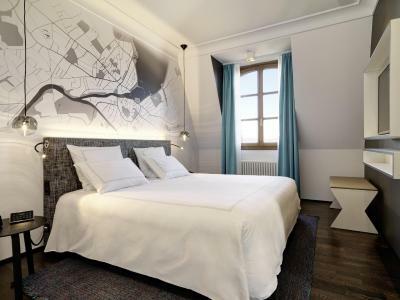 Located on the left bank of the Rhône opposite the Jardin Anglais parc, the Old Town with its museums and galleries is only a short walk away. 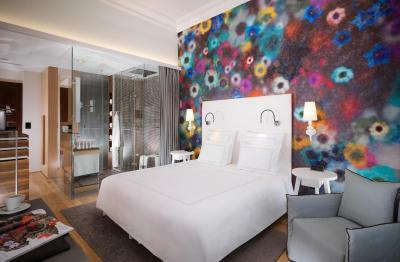 When would you like to stay at Hôtel Métropole Genève? 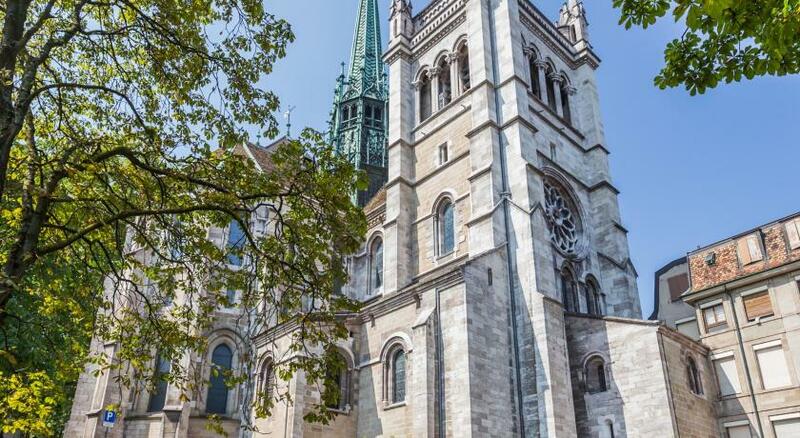 Public parking is available at a location nearby (reservation is not needed) and costs CHF 50 per day. 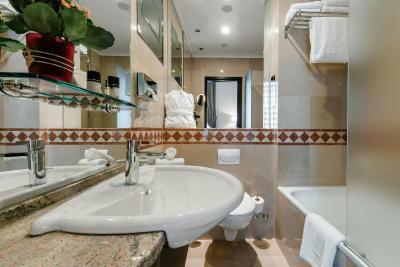 Modernly furnished rooms with a contemporary bathroom with a bathtub or a shower, a flat-screen TV, free Wi-Fi, Nespresso machine and views of the English garden and the Lake. Some rooms have an obstructed view of the lake, due to the garden. 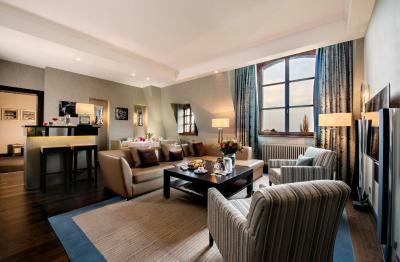 Spacious junior suite with a bedroom, a relaxing living area and views of the city or the lake. 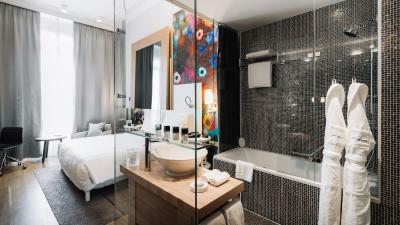 This air-conditioned room includes a bedroom, a DVD player and a mini-bar. 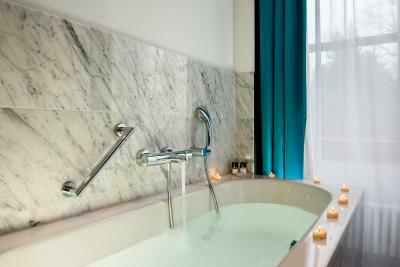 The room features an open bathroom with a steam shower or a spa bath. Added features include a floor-to-ceiling mirror TV. 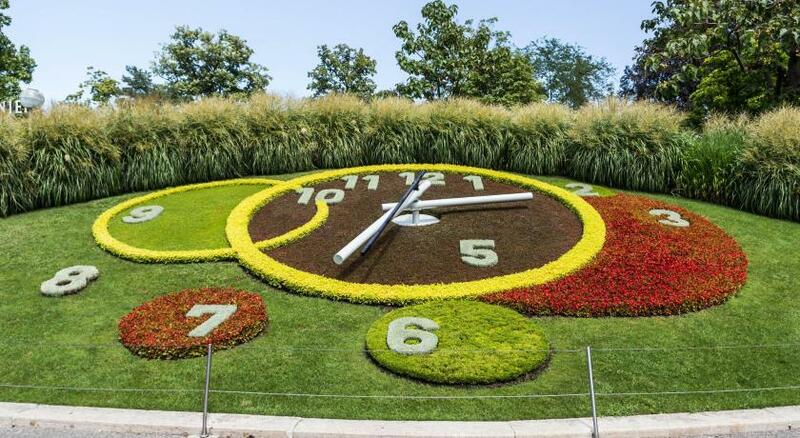 It overlooks the English garden. Some rooms feature views of the lake, as well. 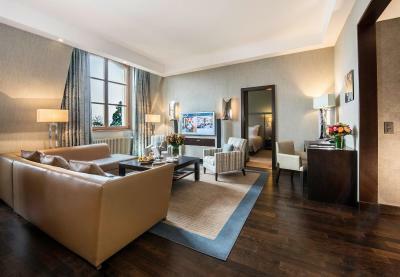 This spacious, air-conditioned suite includes a bedroom and separate a living room with a sitting area. 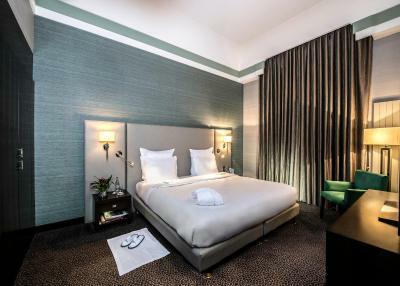 There is also a Bang & Olufsen sound system, a flat-screen cable TV, DVD player, iPod docking station and a complimentary minibar. 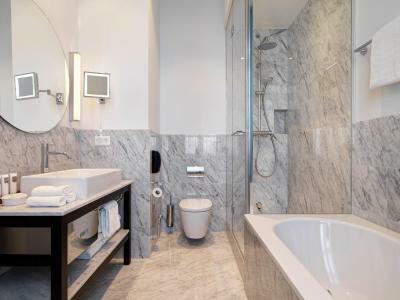 It includes a bathroom with a bathtub and a separate shower. 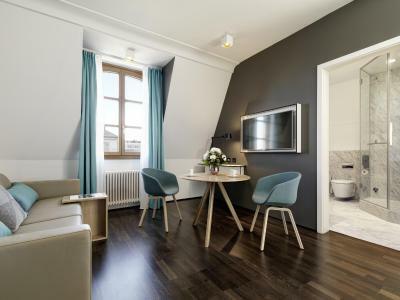 This air-conditioned suite includes a bedroom, a living room with a sitting area, a flat-screen cable TV, DVD player, a coffee machine and a minibar. 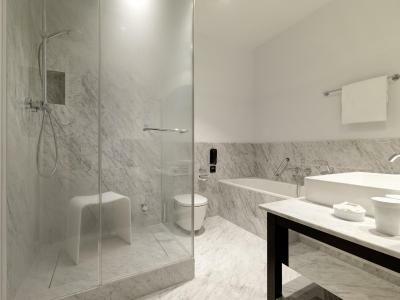 It includes a marble bathroom with a bathtub and a shower. 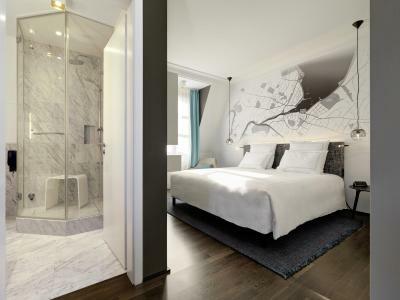 Contemporary style overlooking the boutiques of rue du Rhône, furnished with comfortable queen size beds and functional marble bathrooms. 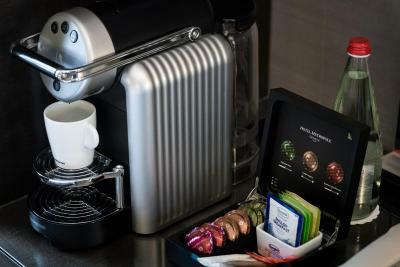 The room is equipped with a desk, free Wi-Fi, a flat-screen TV, Nespresso coffee machine, and an ergonomic chair. 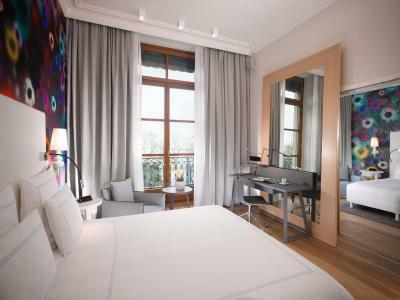 House Rules Hôtel Métropole Genève takes special requests – add in the next step! Hôtel Métropole Genève accepts these cards and reserves the right to temporarily hold an amount prior to arrival. Please note that extra beds are not available in the double room. Some maintenance. Issues in rooms telephone was faulty shower when turned on sorayed everwhere wouldnt stay in one place pillows too soft rooms stuffy but iverall I was happy because of the location and the concierge staff were great so no problems - I was very busy so had zero rime to take ho maintenace issues with front desk. Location concierge service staff are excellent. Great location, nice breakfast and clean rooms.